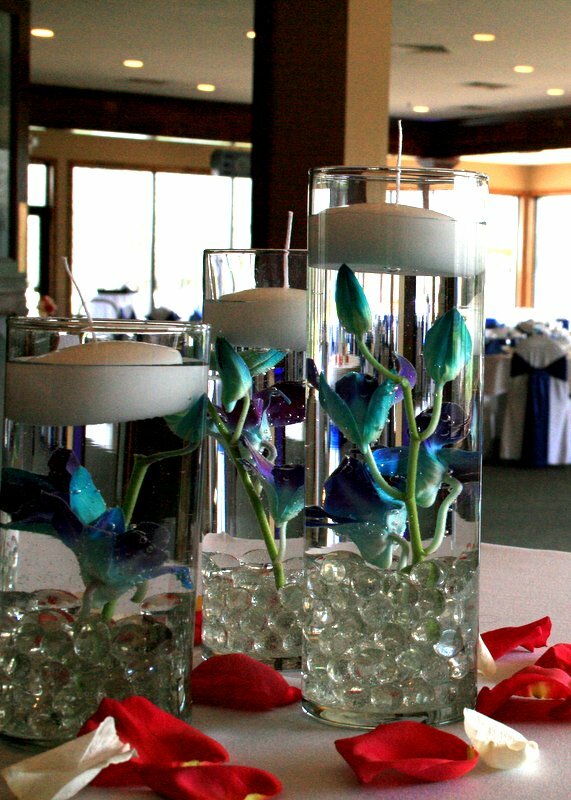 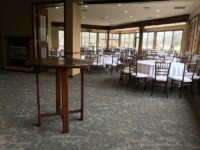 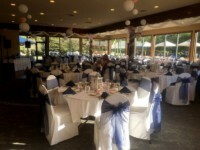 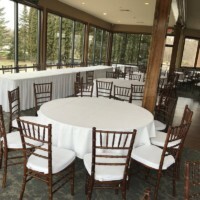 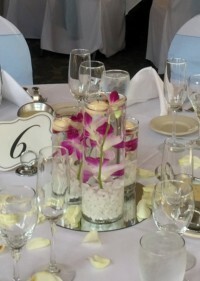 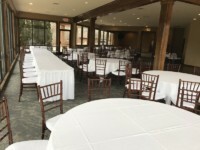 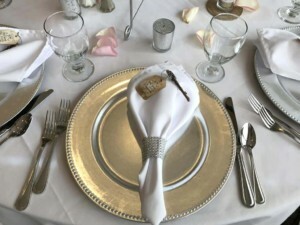 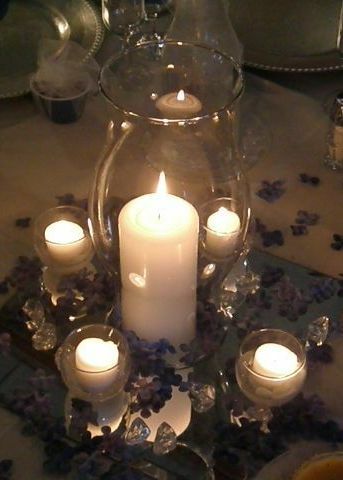 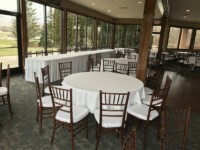 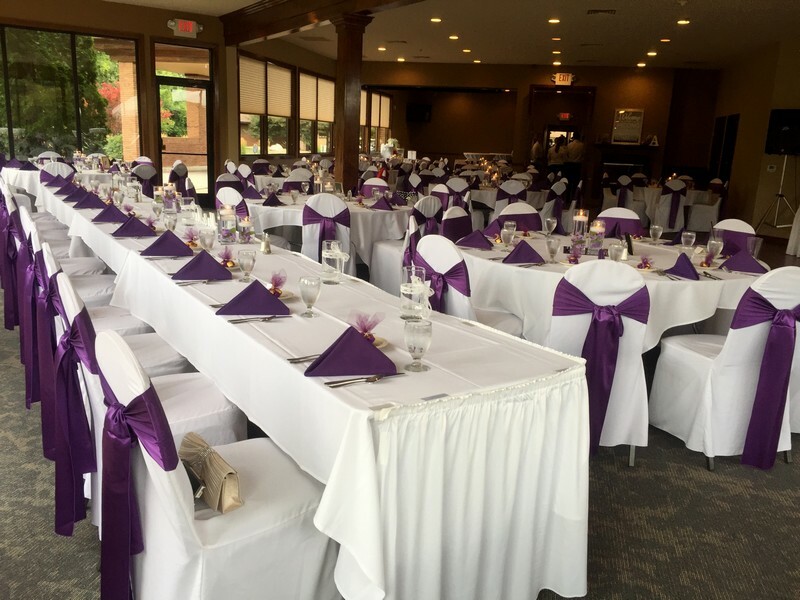 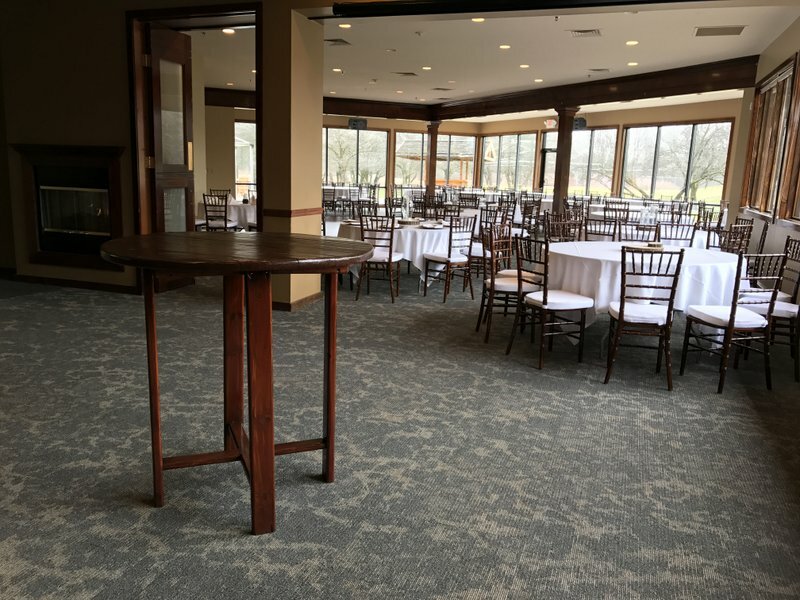 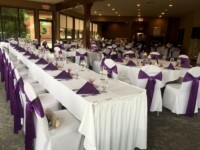 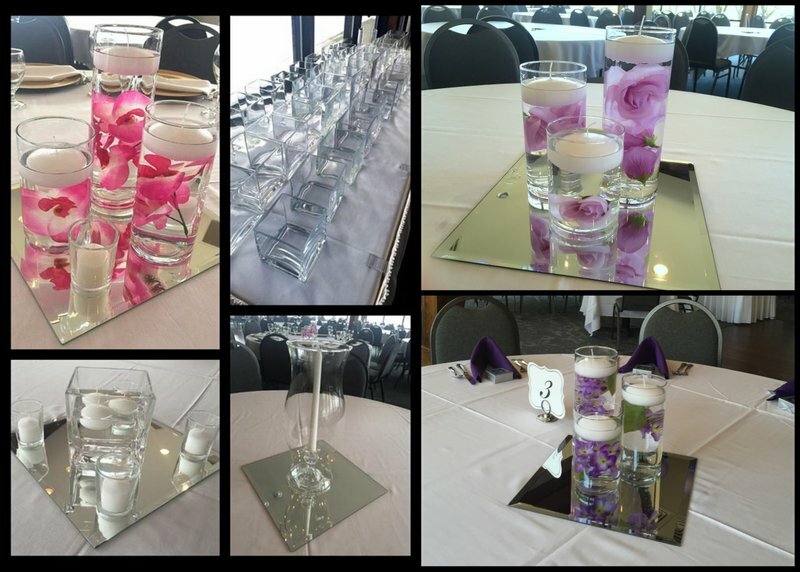 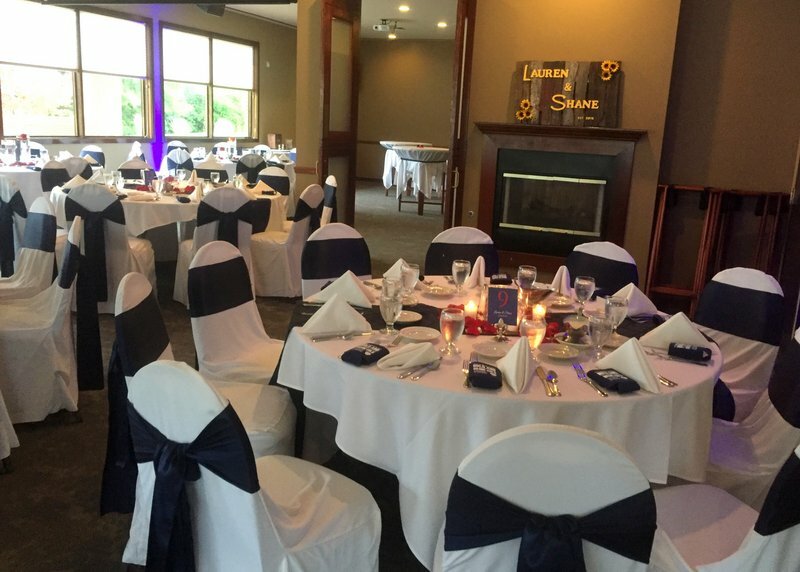 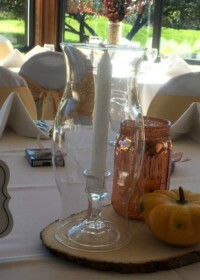 Stonebridge offers a variety of rentals to enhance your table top and add to the natural beauty of our banquet space. 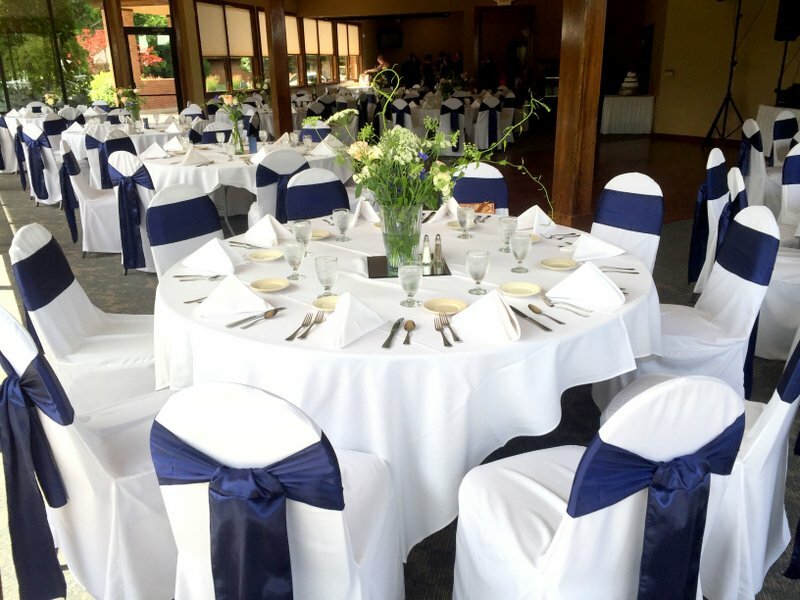 For pricing, please contract your event planner directly, or use the form on this page to contact us! 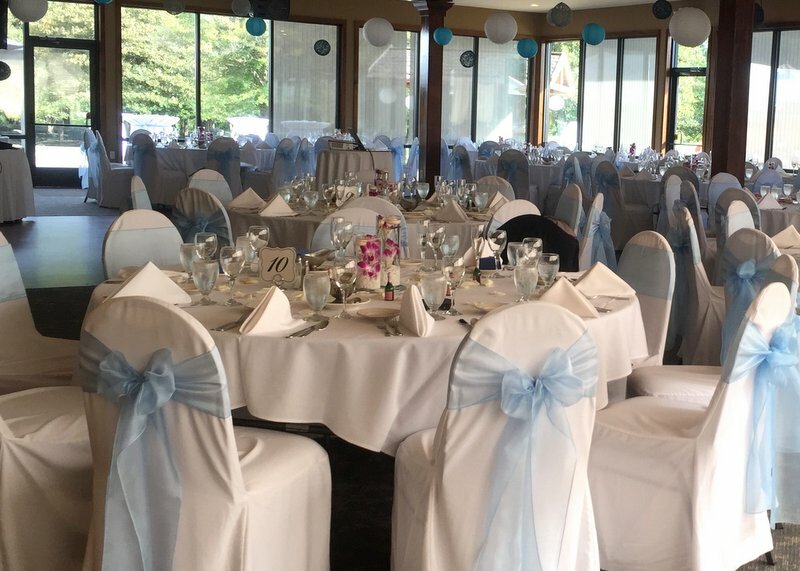 This iconic wedding chair, also referred to as a Tiffany chair, is available in dark mahogany which is a beautiful accent to the brown tones in our venue. 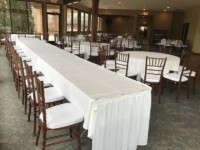 The chairs are solid wood and come with a thick 2″ white cushion for ultimate comfort. The Mahogany color is exclusively ours, purchased in 2017, and guaranteed to wow your guests! We also offer Chiavari Chairs in Silver and Gold, but Mahogany is by far the most popular. 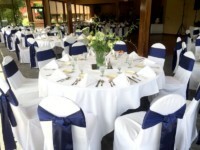 Our standard grey banquet chair can be covered in white with your choice of a colored sash. 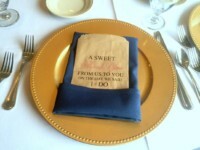 Sashes come in a shiny satin material, that is draped, or a sheer organza fabric that creates a fluffy bow. 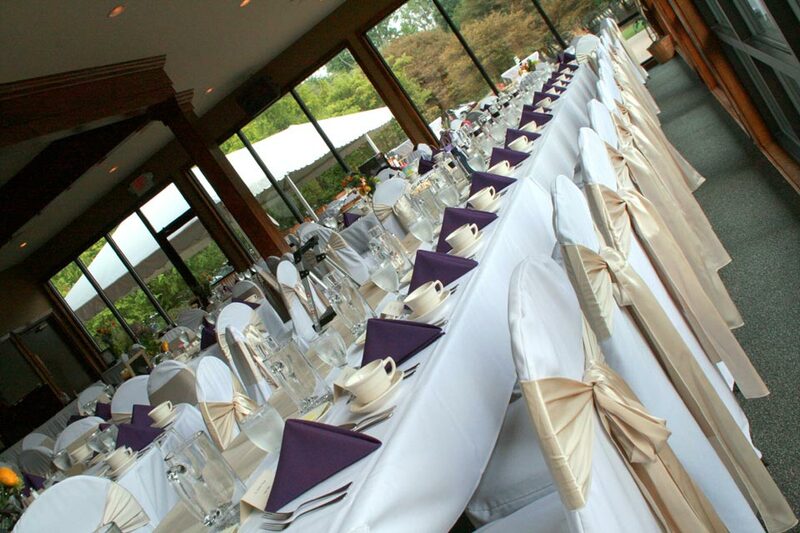 With dozens of sash colors available, there is certain to be a color that compliments your color palette. 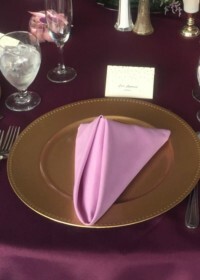 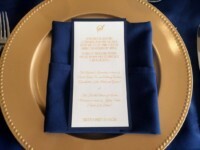 Decorative charger plates are another way to take your place setting from simple to captivating. 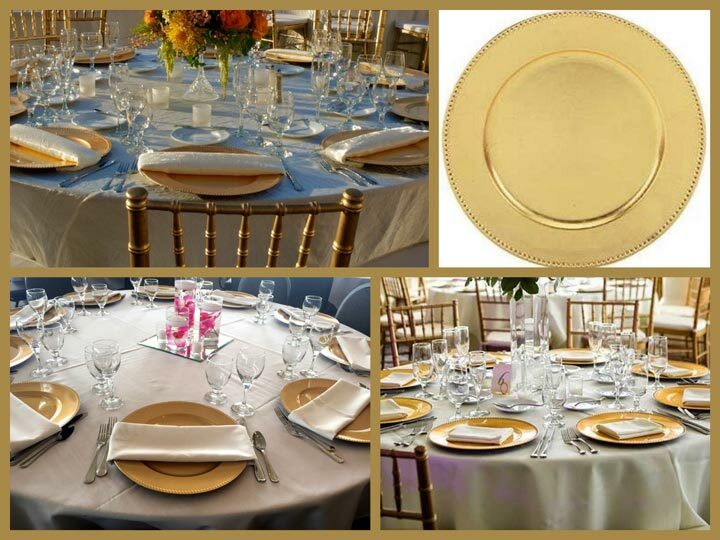 Our gold and silver chargers feature a decorative beaded rim. 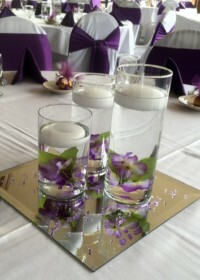 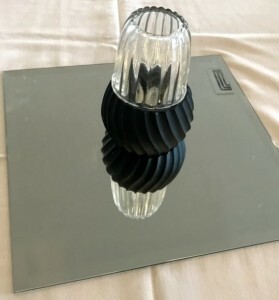 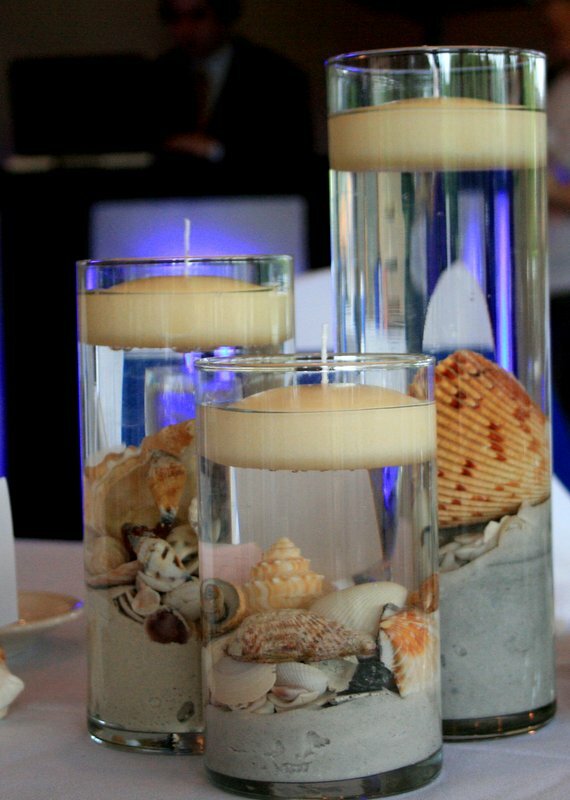 They are not intended to be eaten of off, but to make a stylish table presentation. 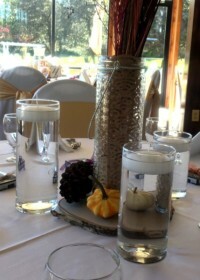 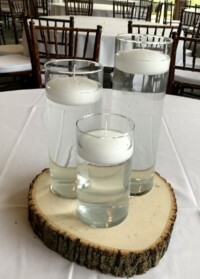 Natural wood rounds are very popular centerpiece enhancements. 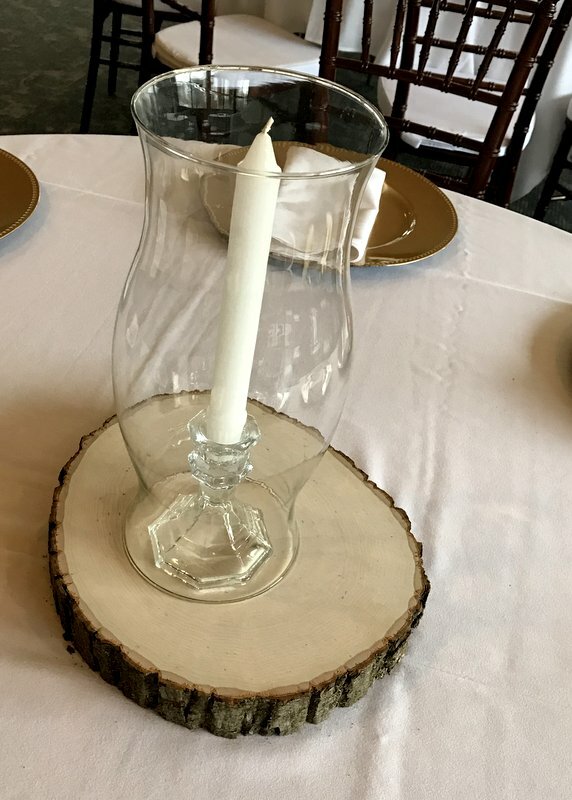 Our walnut tree slices are approximately 11″ diameter and almost 2″ thick. Each would slice features the natural bark surrounding the perimeter. 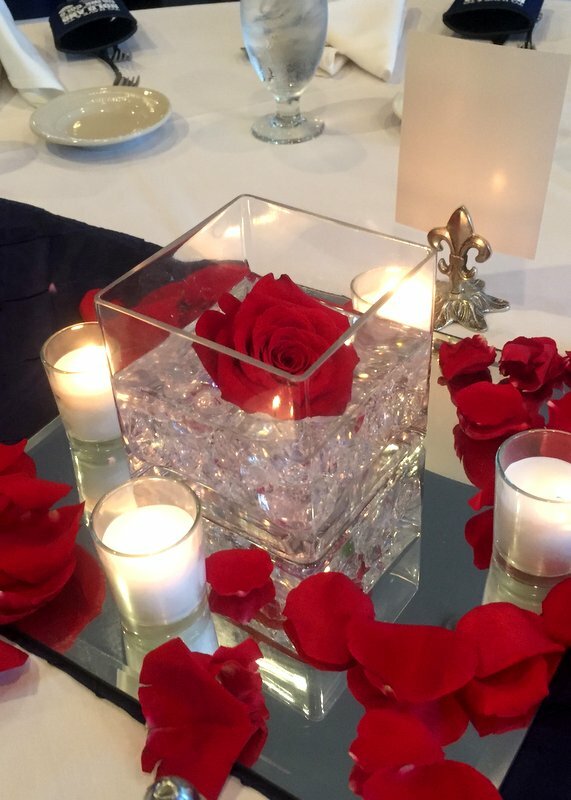 Square beveled mirror tiles are available in 12″ x 12″ to highlight your table centerpiece.